Work for Amazon Simple Queue Service (SQS)? Learning about Amazon Simple Queue Service (SQS)? "Reliable, scalable and fast way to send and receive requests"
As the title itself reveals its Reliable, scalable and fast way to send and receive requests. Reliable because of you are using multi-tier architecture. SQS is a way of combining loosely coupled applications. It is really fast to send and receive messages using SQS. It is reliable you can safely trust on whatever you have put into the queue. The major thing I dislike about the deletion of messages on UI part, you have to poll the messages and then there is not select all button to delete all the messages at one go. Although there's a purge option but that I realized much later on. So, there should be an option to select all the messages after polling them. Very secure mode of sending and receiving requests for your application. We solved various problem like efficiently and securely getting the request from SQS input queue and then sending the response to output queue after processing. "SQS can be useful, but also has drawbacks"
SQS is pretty universal - most AWS services capable of doing some kind of push notification can do it to SQS. Tooling for SQS is also pretty good and writing SQS clients is easy. SQS does not have a built-in job runner or an only-once delivery guarantee in the normal configuration. You can use Lambda to run jobs from SQS, but you still have to either ensure your jobs are idempotent or add in some kind of check via another service (DynamoDB, Redis, whatever) to ensure you don't do the same work twice. You can also use a FIFO queue, but AWS services don't necessarily support the queue working in this mode, and the throughput might not be what you need. Carefully review the limitations of both queue modes to avoid creating a scalability issue or inadvertently duplicating work. Understand that SQS can not replace other systems like Sidekiq or RabbitMQ, but that it instead can work with them. You may also want to consider how you will handle a region-level failure of the service - do you ignore it and let the queue and/or sending systems back up with unhandled jobs, or do you have some way to fail it over across a region? There is no cross-region replication feature like S3, so at scale, you need to figure that out. We are using S3 bucket notifications to add SQS messages which get polled by a ECS container and inserted into a sorted set in Redis. This prevents us from having an issue with duplicate messages (files). A Sidekiq worker picks up the files every minute or less in Redis and processes them. This allows us to process files written out to S3 in near real time and deliver a better product than we would be able to otherwise. "Excellent general use messaging queue"
The simplicity and ease of use. We use SNS and SQS for a majority of our basic event-oriented messaging patterns, implementing simple EIP with it. The API is straight-forward, reliable, and simple to use. The console could benefit from being able to do more advanced name searches. At the moment only "starts with" is supported, which is annoying when the queue name contains a very complex or long naming convention. A search such as that used by S3 would be a major improvement. Clients for SQS consumption are a bit limited. As a primarily Java shop we're using the open source JMS adapter bridge but this library is losing activity. It would be great to see subscription and JMS capabilities built straight into the Java SDK. Enterprise integration patterns for messaging, e.g. publish/subscribe, filtering, etc. We use SNS + SQS for roughly 90% of our messaging needs between our microservices. "Awesome for sending messages between software systems quickly." It is very simple to use. You create the queue, send the messages. Then open the queue and read the messages. The retention is configurable and the delivery just works. You don't have to stand up any infrastructure to use the system or manage the rate or load. Just use the tools provided. Sometimes the latency is unpredictable. The SQS worker for beanstalk really felt like a tinker-toy. We used it for a short while and then built our own worker with much better results. The max message size can be too small. Alternate solutions of storing a larger message in S3 and then sending a notification about it add extra overhead that could be avoided with larger messages. It will get you up and running quickly without having to manage infrastructure. We use it to share data between systems quickly. I like that SQS is so simple and easy to set up and use. As someone who is a great friend of a multiplayer app developer, it is actually nice when you want to keep an order! sending messages at once between different software components, while keeping all your messages! It can deliver messages reliably and safely, excellent for a multiplayer app developper. One of the thing I really don't like in SQS is the fact that after you reach that 120K allowed messages, you keep requesting an increase! they should just let people stay in-flight- even if you go above! Contacting account manager to make sure you get n increase is so inconvenient. Also, the fact you can't flush a queue in SQs when you are so backed up, you would need to delete this queue which remove your setting! the price too is not easy. "cost effectively simple service for professional companies"
The setup was really really fast, as it's a simple service, also the redundancy of the messages don't let them disappear which is really cool as many times before we didn't had a solution for it. TIme is money my friends, try it you won't regret it. Nothing really to dislike. For this price this is the best value/price service. Don't waste your time. If you are searching for a good value product this will be the best choice. Time is money friends! Also if you want to get a product which easy to setup and to administrate and meanwhile redundant too, this is what your searched for. Try it! No more lost messages, way much easier administration and for sure data is all the day secure, which is important because of the new gdpr. Also it has the best value/price. "This feature is really good as we can collaborate data between multiple applications." Moving data between distributed application components and decouple these components. I also liked the scaling of microservices because nowadays there is no application without usage of microservices. This feature is like really helpful. I also like the security and durability it offers. I do not dislike anything about Amazon Simple Queue Service. But for a starter with no knowledge of AWS it takes little time to understand these features. Otherwise Amazon SQS is really a good service. I would recommend to try Amazon SQS because it is highly scalable and durable. I would also recommend using tags to categorize their queues, so they can easily identify their purpose and track their costs. Business problems such as moving data between distributed application components, scaling microservices are solved using Amazon SQS. Time Saving and data security are main benefits. "My website host recently swited to AWS and has worked out great!" The best part of AWS is the security of the system and the cloud based storage that I use for my 5000 members that are apart of my organization. 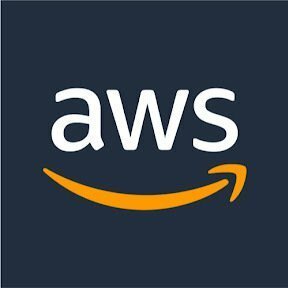 I am not sure what I dislike yet, I have not run into any problems or experienced any delays or shut downs so I am currently happy with what AWS is providing my host account. My host account is yourmembership.com and I trust they have sought after AWS to be a solutions provider. Not sure what to say here, not quite used the SQS yet. Well I'm not sure that I have uses ASQS before since my tech support is through yourmembership, but maybe I should start using SQS as a support tool as well! "Task Distribution within Data Ingest"
SQS was very easy to set up and start using. The console provides much more insight into what's happening in our queues than our previous queue usage. We have a far easier time extracting metrics out of SQS for use in monitoring and alarms, and our primary alert criteria for our data ingest processes are built around monitoring SQS queues for stalled throughput. Our previous queues, which we managed ourselves, kept going down, so the high availability is a big positive for us as well. It's a little strange that you can't see the content of messages in flight or, without pulling them out of the queue temporarily, messages that are available. Often when we have failures in consumption, it would be good to see from the queue side what the error-proximate message is. We replaced self-managed queues (primarily Redis) with SQS due to availability. We used these first as the backend queue service for Celery applications, but have since extended this to task distribution in other environments that we have had to build ourselves. We use these primarily within our data ingest processes, but with the new builds, we are incorporating them into ad hoc reporting requests that create many small jobs that can be parallelized and cached, and the SQS model works well for this task management. "Reliable and easy to get started with." The reliability guarantees are the main sticking point for us. Ease of configuration, (almost set and forget). Many libraries have native integration with SQS, such as Spring boot, which is what we're using. The default integration support with Spring boot has issues. We encountered problems when 503 errors were returned by SQS that caused the JMS listener configured by Spring boot to disconnect permanently. This caused out EC2 instances to jump to 100% cpu. The issues in Springboot are probably a bug in springboot, but we were unable to find out any information on where the spike of 503 errors came from. The max queue length is something like 120k events. We are ingesting around 10k events per minute, this means that in an incident where we cease to process events, we have 12 mins before losing customer data. Suggest a way to increase the queue limit through the AWS console. We use SQS to pass messages from web server nodes to worker nodes. This streamlines the workload on our webserver nodes and provides a predictable workload for worker nodes. We use SQS to ingest messages for processing from other services in the network. We have noticed that in an incident where we were unable to process messages, we did not lose any data, as the queue was able to retain a backlog of messages. "The ideal partner for Laravel"
What I like most about SQS is the ease with which it can be integrated, the speed and management of queues.It is the ideal companion for Laravel, integrating it with the entire Amazon ecosystem. It would be good if SQS had some region in Spain. If you don't want to have a headache in queue management, you should use Amazon SQS for its ease of installation and use. He's solved my background work through Laravel. It's very effective, nothing to envy Redis. Ability to hold messages, forward to new queues or other AWS resources through CloudWatch events notification. Having to manually poll queue for new messages and delete them. It is not like RabbitMQ. Great product if you're looking for something to hold messages for replays and wouldn't mind manually deleting them afterwards or waiting for expiration. If you have multiple consumers, it's a great service too. But if you want to consume once and discard, you'll need to do some programming. "A very useful service to transmit any volume of data, at any level of throughput." The service enables you to transmit any volume of data, at any level of throughput. Sqs provides you with a very reliable and highly available messaging cluster, While you only pay for the services you use.AWS gives you an SLA that states the required availability, and this is all you need to worry about. SQS charges $0.120 per GB data transfer out and $0.01 per 10,000 Amazon SQS requests, so if you are making about million requests the cost could be on a little higher side. Also there is no option to flush a queue in AWS SQS thus if you want to start over with the queues the only option that you have is to delete your queues. You generally don’t need to think about scaling and high availability when using a SaaS solution like SQS. AWS gives you an SLA that states the required availability, and this is all you need to worry about. If you want to run self-hosted RabbitMQ, however, the SLA guarantee is your responsibility. Aws helped us a easy to use serverless architecture for our messaging service. Yes will recommend. It is very useful when you want to have guaranteed delivery of message. using S3 bucket to upload images one by one was more tedious and time consuming. now with SQS, triggering uploading in Queue will be more fast and reliable to deliver. Ability to create both FIFO and Standard Queues, and their respective abilities to make sure everything gets processed in order, or processed quickly. It should be possible to attach more data to a queue message, or at least SQS should be more interoperable with other AWS services like S3 so that a file can be essentially attached to a message so it can be processed. Overall, there should be less limits. There shouldn't be a maximum size of a queue or maximum retention period. Consider if you want to be bothered to run a message broker locally, but this is generally easier to use and integrate, so it worked for my purposes. Providing a mechanism for individually processing incoming electronic requests asynchronously. "Great way to communicate between AWS services"
SQS is my favourite way to communicate between AWS services. I particularly like using it to trigger AWS lambda functions to process incoming data from less used api endpoints (especially since you can use it to trigger functions across AWS regions). Would be very useful to have more granular control on retry behavior after failing to reach an AWS service (e.x. Dynamo), but this can be achieved with lambdas or some other workarounds. I'd highly consider using it since it's free (as of when I last used it) when used to communicate between AWS services. One of the main problems I solved was using SQS to communicate (for free) between AWS services in other AWS regions. There's not really any good/easy way to do this otherwise without exposing API endpoints to the internet in the other regions which isn't ideal (in my previous case). "Aws is great learing tools where everyone learnt architectures, developing mobile apps using AWS." AWS real-time data processing, connecting devices to the cloud using AWS IoT and how ML & AI have become mainstream technologies today. AWS makes it easy for developers to benefit from these technologies. In Aws synchronization is not good between AWS Hub and google cloud messaging. yes as per our experience definitely we recommended aws service. Knowlarity Cloud Telephony participated in AWS DEV DAY on November 14th, 2016. AWS (Amazon Web Services) DevDay is a free, full-day technical event where new developers learn about some of the hottest topics in cloud computing, and experienced developers can dive deep on newer AWS services. "Amazon para mi uno de los mejores servicios calidad/precio"
Su servicio, atención al cliente y garantías de devolución ante productos defectuosos así como su rapideza en el envío de productos. A veces pequeños retrasos o problemas en el servicio de Amazon y sus servicios de mensajerías que perjudica al cliente , al no recibir un producto en la fecha estipulada. Yo recomendaría sin lugar a dudas los Servicios de Amazon por su seguridad, exquisita profesionalidad y atención al cliente que ofrecen una experiencia totalmente satisfactoria para el cliente. Amazon siempre a tenido una atención al cliente exquisita resolviendo diversos problemas sobre defectos en productos o retrasos en sus envíos predeterminados. "Easy to use accompanied with dashboard to view status of queue"
Part of AWS, easy to pickup and use if you're already in the ecosystem. Performance is adequate if the messages to be consumed are not strictly time sensitive, since the consumer is based on a polling algorithm. Free tier allows 1 million Amazon SQS requests for free each month. Message consumer is based on polling, which means a message may have to wait for a long time until the next poll is done. If the poll rate is reduced to accommodate, prices may go up since Amazon charges per request number. Easy to pick up, but may need to move to another service such as RabbitMQ if the messages have to consumed in a timely manner. We used SQS to queue non time sensitive tasks that spun off API requests so that another service can pick up the tasks and complete them later, without slowing down the original API request. "a great product to use for any business "
sometimes it times out and is slow, but mostly good. Messages could be delivered not in order so may have to look through them, to make sure its the right one. "Excelente ferramenta para acompanhamento e controle dos projetos, principalmente prazos." Todo o passo a passo das tarefas fica devidamente registrado. Proporciona a visualização de todos os projetos que estão sendo desenvolvidos. Permite a troca de informações entre os usuários, inclusive a inclusão de anexos (documentos). Permite o acompanhar o estágio em que se encontra cada tarefa e o prazo de conclusão. Enfim, temos total controle dos projetos. Possui também diversos relatórios e permite a criação de outros para atender a necessidade de cada usuário. Até o momento o software está nos atendendo muito bem. Ótimo sistema para controle dos prazos de processos judiciais. Melhoria na gestão de todos os projetos/tarefas da equipe, principalmente quando falam os de prazos. Fluidez das informações, forma assertiva de controle de datas e manutenção de todo o histórico dos trabalhos por todos os usuários envolvidos. "SQS for fast pipeline development"
Simple (as in the name) with easy-to-use APIs. I used boto3 and Java client lib to access the service and was able to implement a messaging protocol including formats and unit tests between python & Java services in about a day. SQS uses a long-poll approach (as far as I can tell) so there is a bit of a learning curve. Build a facade library to hide messaging details. This allows you to confirm your low-level queueing logic is correct and allows you to decouple the transport from apps. Allows me to process documents submitted through a gateway to backend services. SQS makes it easy to build pipelines. Great service! At first I was very skeptical about it but after doing research and using them I loved it! Not for everyone so make sure you do your research before committing to this product. The product can get a little pricey. In order to make it worth the money you must use it several times per week and you will find it is worth it. Otherwise you will feel like you are wasting money and time. SQS universal is a tool. we use it for push notification a lot. "One Stop for Queuing Solutions in AWS"
Super Easy to setup. Just type in the queue name, configure permissions and you are done. You can also subscribe to SNS for getting messages. Mostly what we do while integrating with other teams. You can also set retry logic, configure DL queue in case application fails to process it after "N"th time. You can peek only one message at a time while doing a poll. Use it if you are in AWS. Highly recommend to get up and running. Queuing Solution up and running in cloud. No effort need to setup. Managed service by Amazon. Ease of integration. Cloud Watch available so you have metrics available on the fly. "Best Queuing Service in the Market." Amazon Simple Queue Service is ideal for a scenario where we need to aggregate data from multiple parallel running processes. Using a Listener we Implemented a workflow in which multiple instances of a analytical process runs in parallel and provide a output that need to store in Database. The main disadvantage of SQS is that we can only read a maximum batch of 10 messages in one call and this make the process time consuming when we deal with thousand and thousands of messages pre minute. sending Data from multiple processes running in parallel to a process that support one connection only and can't be run in parallel. "The best for message queuing services "
The best for message queuing services because push notifications from AWS can integrate to Amazon SQS. Messages containing protected information subject to regulatory requirements such as PHI can safely rely on this Amazon SQS. SQS lacks of built-in job runner. The message consumer should poll the queue in order to determine whether a message is available. Si far, no significant flaws have been detected. My business required to manage high volume of data. Using Amazon SQS helped to offload the burden of operating a highly messaging cluster. One big advantage is that there is no need to maintain it, and it is very affordable. The availability, capacity to provide concurrent access to messages. And the Scalability, that allow to process each request independently to handle the load increases. I can't think anything i dislike, all benefits are perfect. The API atends very well too. I was needing a way to send messages from many tasks of many worker servers to the client's application. The benefits: SQS works for me! "Message made simple on the cloud." Simple, fast and easy integration of messaging on the cloud. It is hard to search the messages through the console, limitation on the number of message attributes, message type supported when integrate with SNS in raw delivery mode. SQS is helping in providing the retry functionality in case of any failure in the flow of a request processing. Separation of work from being done on the frontend to the backend. Removed the need to host our own queuing service in house. I like that I don't have to worry about sending sensitive data through Amazon SQS. I think that this is still a relatively new software and there are some kinks that still need to be worked out. "Amazing being able to have messages ready to be sent before needing to send them." I loved being able to get the messages ready to send and queue them in order to send to each employee across the web based software our company was using. We couldn't figure out how to send attachments, and there wasn't much training, which isn't the software developers problem. Our managers weren't very able to teach us when they weren't willing to learn themselves. Being able to mass message drivers across the USA to let them know their next dropoff or pick up locations and time. Independent nature of messaging from monitoring dependent on the messages. Inability to use SQS itself to send out filtered messages over SMS, Email, etc. Find SQS intergrations to help you find destinations for your SQS streams, filter them, etc. Real time monitoring of web application availability. "AWS SQS Review: message queuing service"
Using SQS, you can send, store, and receive messages between software components at a very large volume, without losing messages or requiring other services to be available. SQS in-built DLQ system is a good add-on feature. Querying/Viewing of Messages is a poll based(no pagination etc. ), and visibilityview of message gets changed to handle that out, looks pretty odd to me. I would have thought of building it slightly different. Managing Message queuing in game message etc. Able to write server less applications. It's great to be able to send and receive messages without needing other services to be available. Being able to store messages and maintain recording quality is also very good. There may be better options available. This is something that you should shop around for. This helped us ensure that message queues were in order, and that they were only sent and processed once. We use SQS for multiple use cases and the recent change to allow SQS to trigger Lambda has opened new potential use cases for the service. This has been beneficial for orchestrating serverless workflows. At this time I have no signifcant complaint about the service. I most recently was able to use SQS to help orchestrate multiple invocations of step functions by triggering Lambda that invoked the state machine. This has worked flawlessly. "Like everything on Amazon, a great service"
The speed, how well it works and what a quality service it is, I have tried it several times and all of them have ended up very satisfied. Really nothing, everything was fast and great. We use it to send messages to customers when they need it, it has worked much better than we expected and we are very happy with the service. Our customers are more than satisfied. The simplictiy of being able to use the message queue. The addtition of the FIFO option as opposed to the standard queue has been a huge benefit for us. We have run into a few issues where for whatever reason messages do not come back out to us for a small period of time. Try it out, the cost is so minmal. Our core EDI business uses the service for routing files. "how else do you distribute work so efficiently :)"
super simple to use. very fast. has options to use for in-order or random-order processing. Not much really. It works for my use cases. I love the ease of use, the low cost of aws. But most of all, I love the reliability. I have never had an issue with AWS failing me and even with maintenance, they provide enough notice. There isn’t much to dislike. Obviously maintenance is natural for any such service and while we get enough future notice, it would be better if there were less maintenance periods. We use this to solve our customer issues. "Next big thing of AWS"
Hard to understand and debug the errors faced at times. Amazon SQS is a really a super simple queue system. It is almost too simple, but it works well for what is advertised. You hooked an application up to listen to the queue for tasks and away it works. The payload size for items in the queue is too low in our opinion, which forced us to be creative in workarounds. Other than the guarantee of completing a task, it doesn't offer much more. All the complexities have to be worked into the application layer. Emails from SES are buffered into an SQS queue for processing (relay) by a worker task that lives on ec2. I love amazon has everything I want. I wish the credit card was easier to get and lower interest rate. The credit card was easier to get and lower interest rate. One of, if not the easiest queue service I've ever used. Vendor lock in, again, hard to complain, and I'm on the AWS train. If you are in the AWS ecosystem, SQS is a fantastic service to be using. Change notification. When a users information is updated, we have a pipeline to notify other intelligence systems so we always have the most up to date information. It is easy to use with ample documentation for a newbie. Also, we use it for push notification in our web application. The payload size for items in the queue is too low in our opinion, which forced us to be creative in workarounds. Send, store, and receive incoming tweets from twitter API to be rendered on our web application. Using these tweets we generated a HeatMap for Topics across USA. "Great technology to decouple the solution of the application"
ability to decouple the application, ease to use, and ease to implement. There is nothing for me to dislike about this service. "Best solutions for queing and notifications"
Security features is great didn't need to worried about sensitive data to send to another. I like the monitoring of messages and didn't rely on something. I would say cost is something which is quite high and other services are available in less cost. Other than this everything is good. We use this services to send messages and notification between our software, which really solved our problems. * We monitor all Amazon Simple Queue Service (SQS) reviews to prevent fraudulent reviews and keep review quality high. We do not post reviews by company employees or direct competitors. Validated reviews require the user to submit a screenshot of the product containing their user ID, in order to verify a user is an actual user of the product. Hi there! Are you looking to implement a solution like Amazon Simple Queue Service (SQS)?